The Mission is one of San Francisco's oldest neighborhoods, dating back to the 1776. This historic district has the oldest building in the city, Mission Dolores, but this is a neighborhood with modern culinary sensibilities. You'll find older school taquerias mixed with modern Chinese, new school coffee, and modern chocolates. Originally a co-founder of Ritual Roasters, he left in 2008 to launch Four Barrel, a cafe and roaster. They are focused on sourcing, roasting and making the best cup of coffee they can. They serve pour-over and single origin espresso. With no wi-fi or outlets for laptops, their hope is that customers actually talk to each other. This coffee roaster is owned by Eileen Hassi Rinaldi who first started sourcing directly from coffee farmers in 2006. Their roast style is on the lighter end of the spectrum. Owned by husband and wife pastry chef Elisabeth Prueitt and baker Chad Robertson — who works mostly on the bread side. They are the recipients of the James Beard Foundation Awards for Best Pastry Chefs in America. Artisan bean-to-bar chocolate factory. See how the chocolates are made, sip hot chocolates, mochas and taste chocolate treats. Ryan Farr, the chef, butcher, and master stomach behind the operation, comes from a background in fine dining. Edith Heath began throwing the modernist-designed pottery in 1948, making cups, bowls and plates. In 2004, Robin Petravic and Catherine Bailey bought the business and have turned it into a must-have for restaurants. A deli and market from the owners of Flour + Water. They sell sandwiches, coffee, pastas, chocolates and jams. Co-founders Evan Bloom & Leo Beckerman started out smoking pastrami in their backyard and then established themselves at the Ferry Plaza Farmers Market. They opened their first brick and mortar location here in 2012 with the goal of sharing traditional Jewish comfort food with the community. 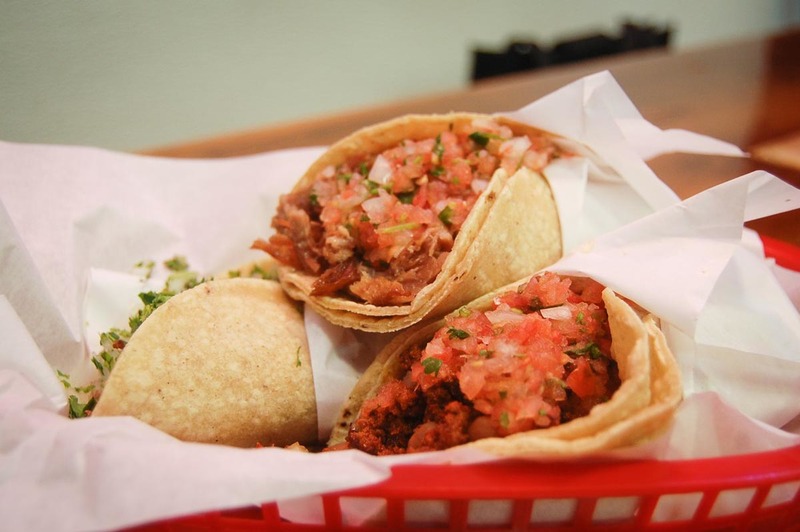 Known for having some of the best rice-free burritos and chorizo, lengua, and carnitas tacos in the city. They've been in the Mission for decades and have garnered a loyal national following. Pastry Chef WIlliam Werner worked in restaurants and hotels on both coasts before opening his contemporary patisserie and cafe. Small batch ice cream, soft serve and baked goods. Two pastry chefs started baking for Bi-Rite Market in 2002 and opened Bi-Rite Creamery in 2006. They were the first ice cream shop in San Francisco to use Straus Family Creamery organic dairy. Unique ice cream flavors from Beet to Cucumber to Cheese. But they also serve more conservative choices like Chocolate Smoked Sea Salt. They use Straus Organic Dairy for all their ice creams. Co-chefs Nick Balla and Cortney Burns create global flavors that partner well with Tartine’s bread by renown baker Chad Robertson. Balla, previously of Nombe and O Izakaya, uses his Hungarian roots as an influence for the menu and Burns takes care of pickling, charcuterie and pastries. But it’s not all about the food, sommeliers love the wine list here. Located in an old warehouse and opened by The Bon Vivants team - bar stars Josh Harris, Scott Baird and Jason Henton. The name comes from the old cast iron banks and the cocktail menu is based on the Pantone color wheel. Depending on your mood, you can order cocktails with names like Grandma's Sweater and the Polar Bear. It's cocktails and bar food from around the world. Snack on chicken liver pate, pork rillettes, chicken pot pie empanadas or a pimento cheese burger while you sip mezcal or scotch. They also have three draft Napa wines, which includes Matthiasson. They specialize in house-made regional Italian pasta and thin crust Neapolitan pizza baked in a wood-fire oven. Their menu changes daily. Americanized Asian food housed inside a pre-existing, old-style Chinese spot called Lung Shan. Chef Danny Bowien opened here before expanding to New York and winning a James Beard Rising Star Chef of the Year Award. Cocktails, thin crust pizzas, and modern Italian comfort food. They use fresh and seasonal ingredients sourced from local farmers. The name pays homage to the Belgian Trappist monks, who were said to be the first craft brewers. A gastopub where the kitchen is open until 1am. Known for their beers, but a wine list worth seeking out as well. Artisan bean-to-bar chocolate factory in the Mission. You can visit them to see how the chocolates are made, sip hot chocolates, mochas and taste chocolate treats. If you are visiting, you might not be able to take home some steaks or pork belly, but you can bring your friends and family the beloved fried pork rinds aka Chicharrones. Made in California since 1948 you can buy dinnerware or smaller items like these salt and pepper shakers to give as gifts. Joshua Skenes -- chef and co-owner of Saison in San Francisco, CA. Stuart Brioza & Nicole Krasinski -- chefs and co-owners of State Bird Provisions in San Francisco, CA. Charles Phan -- chef and co-owner of The Slanted Door and Moss Room in San Francisco, CA. Traci des Jardins -- chef and co-owner of Jardiniere, Manzanita, Mijita, and Public House in San Francisco, CA. Massimiliano Conti -- chef and co-owner of La Ciccia and La Nebbia in San Francisco, CA. Josh Even -- chef at Tosca in San Francisco, CA. Russ Moore -- chef and co-owner at Camino in Oakland, CA. Caitlin Freeman -- pastry chef at Blue Bottle Coffee SFMoMA in San Francisco, CA. Marc Cohen -- chef at Lawrence Restaurant in Montreal, Canada. Anne Quatrano -- chef at Star Provisions Group in Atlanta, GA.
Matt Lewis -- baker and co-owner of Baked in New York City, NY. Amelia Posada -- butcher and co-owner of Lindy & Grundy in Los Angeles, CA. Thad Vogler -- bartender and co-owner of Bar Agricole in San Francisco, CA. Josh Harris -- bartender and co-owner of Trick Dog in San Francisco, CA. Bobby Heugel -- bartender and owner of Clumsy Butcher (Anvil, Hay Merchant, Underbelly, The Pastry War) in Houston, TX. Duncan Arnot Meyers & Nathan Lee Roberts -- winemakers and owners at Arnot Roberts in Napa, CA. Etheliya Hananova -- sommelier at Le Sergent Recruteur in Paris, France. Guilhaume Gerard -- wine importer and co-owner of Selection Massale in Oakland, CA. Eileen Hassi Rinaldi -- roaster and owner of Ritual Coffee Roasters in San Francisco, CA.